Follow in the literal footsteps of hip-hop’s biggest legends on this Harlem Hip Hop History walking tour! It's home to such iconic sites as the Apollo Theater and the Lenox Lounge. 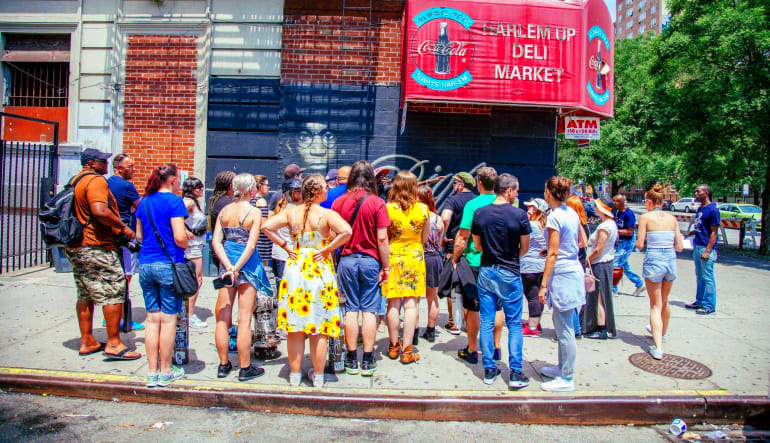 Follow in the literal footsteps of hip-hop’s biggest legends on this Harlem Hip Hop History walking tour! Integral to the birth and development of hip hop, Harlem stands apart in its contribution to the creation and nurturing of what is now a worldwide phenomenon. Home to such iconic sites as the Apollo Theater and the Lenox Lounge, Harlem is a neighborhood rich in history and culture. On this tour, you’ll have the chance to walk the same streets as the greats did and immerse yourself in the neighborhood that shaped them, all while enjoying expert narration from some of those very greats themselves! Hip hop celebrity guides including Grandmaster Caz of The Cold Crush Brothers, Rahiem from Grand Master Flash & The Furious Five, Ralph McDaniels, Lady K Fever, Johnny Famous, DJ Red, and more! Landmarks including The Apollo Theater, Rucker Park, Graffiti Wall of Fame, Lenox Lounge, murals dedicated to legends such as Kool Herc and Big L, as well as music video shoot locations and old school rap battle sites! Hear the stories, see the sites, and discover all of the fascinating details of the neighborhood that helped give birth to the hip hop genre and culture. 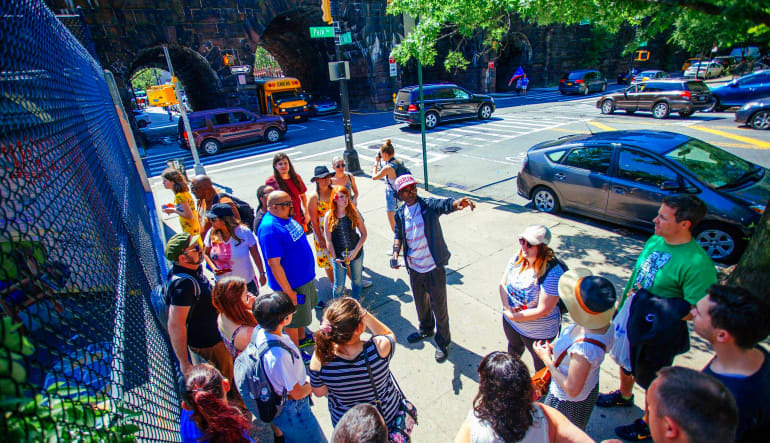 Take a stroll through historic Harlem on this hip hop walking tour today! Expert guides, including celebrity MCs!